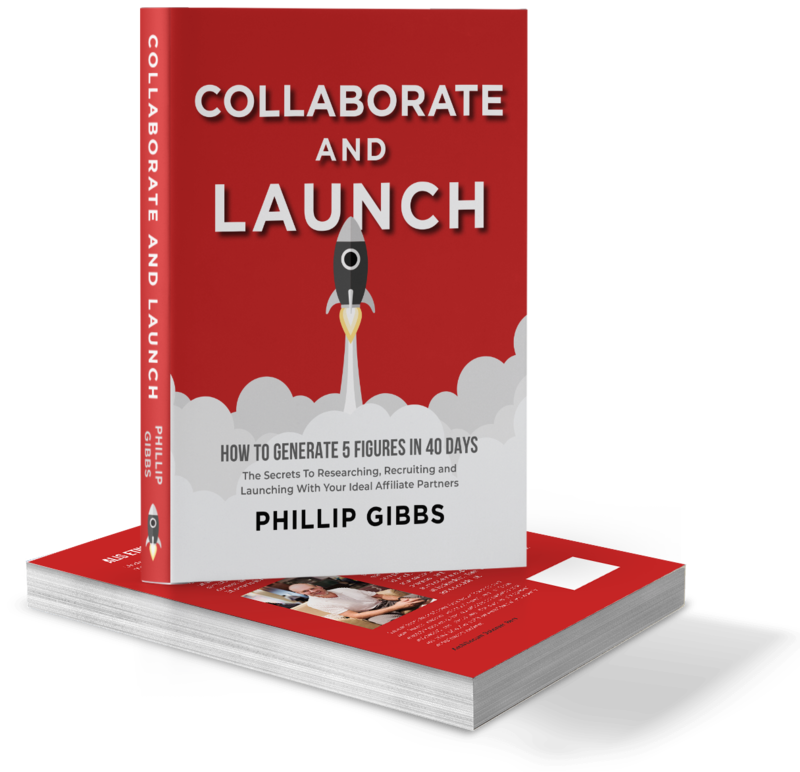 Hi, my name is Philip Gibbs, I help online entrepreneurs profit through Affiliate Partnerships and build lean, nimble and profitable businesses. My life’s motto has always been to win… but to do it the most effective and enjoyable way! As a teenager I was a talented national golfer winning many accolades, before landing my dream job with Land Rover, testing cars in extreme conditions, from Canadian ice lakes to the sand dunes of Dubai. But it wasn’t only at sports and business that I applied this motto… I also pushed myself in education gaining a degree in Mechanical Engineering and a Harvard Business Management accreditation. However, at this point in my life, I had nailed how to win, but I wasn’t doing it with ease… it took A LOT of blood, sweat, and tears. During my time with Land Rover it struck me that my bosses worked increasingly long hours for their money and often seemed frustrated and unsatisfied. I also started to look at the people around me, people in my social circle, who seemed happier and guess what…there was a theme! They were all in control of their own success, some running their own businesses, whilst others were investing in stocks, shares and property as a sideline to their corporate job. I remember the day the penny really dropped for me. I was on my way to a car show at the NEC with my Dad. On the way we talked over Dad’s career path, the opportunities he’d taken and the decisions he’d made. It was a real warts and all chat! After the early sudden death of his father he was forced to look at investments to help his mother maintain an income. Between them they chose to invest in property. It was this point that changed Dad’s life. A few years down the line he could see a route to leaving his corporate job and Mum and Dad threw everything they had into building a property business. Dad escaped what I now refer to as the ‘time for money trap’ at the age of 50 building a business that afforded him an enviable work – life balance. So, after a little time considering my options and just after my 12th anniversary with Land Rover my entrepreneurial spirit saw me take a leap of faith away from the [then] relative safety of corporate life, to pursue my own dreams. I can honestly say I’ve never looked back. I spent four years building a business ending up with 15 staff and large premises. Whilst it looked glorious from the outside, the truth was I felt trapped chasing sales to stay ahead of the ever increasing overheads. Whilst life was better, quite good in fact, I learned a big lesson. I was really still exchanging my time for money and whilst the levels had moved up a notch or two, it wasn’t affording me the freedom I desired. Surely building a business should be fun…after all we spend enough time working on it. I decided then that there must be a better way. 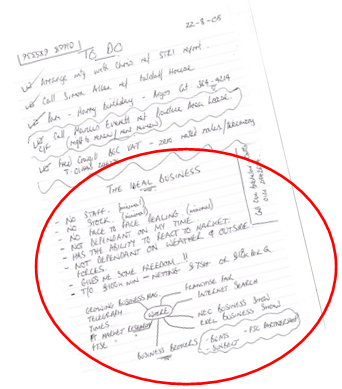 So I went for a beer with my dad and sought his advice, he suggested that I sat down and wrote out what my ideal business would look like, what it would offer me and ignore any preconceived ideas I might have about what’s possible. After arranging my exit from my business I embarked on a mission to create what I hoped would be possible. My second leap of faith! After months of researching various business models, including franchises (certainly none of those felt right!) an online theme played a role in everything that appealed to me. So, I decided to invested in some strategic personal development and business training to create my own path. The path that has led me to where I am today running a profitable online business and helping my clients do it too. These days, businesses can (and should) be light and nimble, flexible on costs and quick to adapt. Imagine being able to run a business, working from anywhere in the world, at any time. Don’t get me wrong, you still have to put the time in. However, as I’m experiencing first hand, when your work is something you simply love doing, offers you complete flexibility and is providing a great lifestyle you will actually struggle to stop working! I’m dedicated to helping you build a lean, nimble and profitable business but through the proven and tested routes that I’ve personally experienced. I’ve studied and refined these strategies myself as most of the online marketing courses are not aimed at business owners who already have a product/service and brand. With my business knowledge and experience spanning the property, leisure, retail and e-commerce sectors, I am a highly respected business mentor with real life experience growing and selling businesses. I like to think I’ve got a friendly straight forward approach, a good sense of humour, with an innate ability to spot and create opportunities, set goals and implement plans to achieve success. So what do I mean by lean, nimble and profitable? LEAN on costs with no stock, no staff. Allowing costs to be turned on and off as required to drive growth and control cash flow. NIMBLE out-manoeuvring competitors and stealing market share by helping people find the right product, at the right time and at the right price. PROFITABLE generating the financial reward you need to live the life you deserve with the freedom you desire. We’re living in exciting times where technology is constantly redefining ‘what’s possible’. It’s why we’re at the start of the Entrepreneurial Revolution and I’m on a mission to help ambitious people understand what’s possible and furthermore, achieve the business and lifestyle they desire.